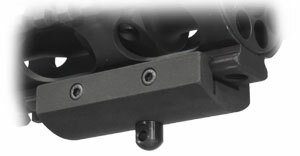 This adapter allows the attachment of a Harris Bipod to any picatinny rail. Made from aircraft quality aluminum and hardcoated to mil. specs. Attaches using a 7/64" Allen wrench.